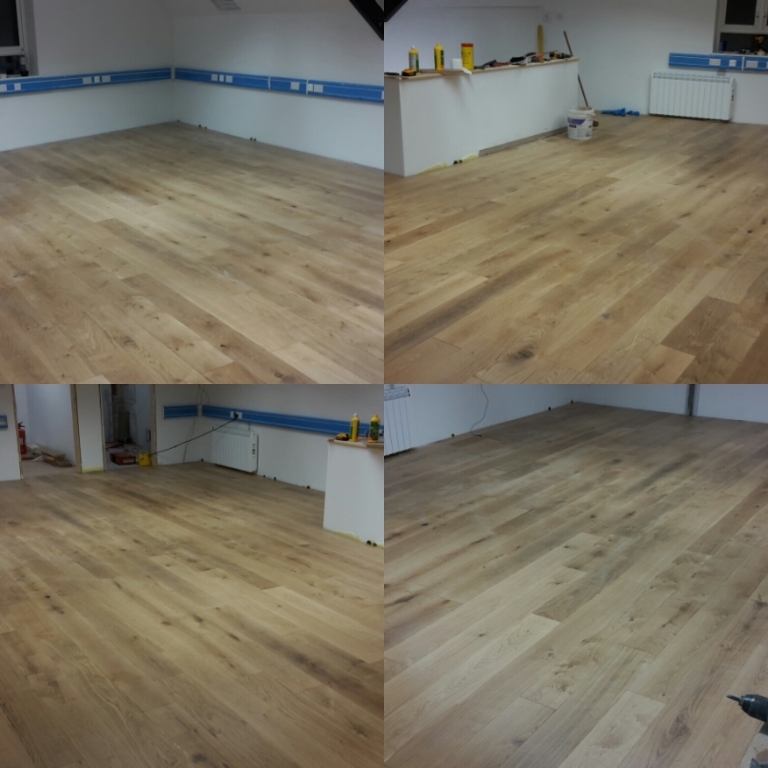 I've been laying a pre finished oak floor this week and I think it's up there with the biggeest single room I've done so far. Each run of boards was 10 meters long so getting the first row straight was essential. 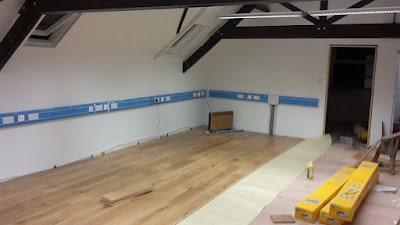 The boards were engineered with a 6mm layer of oak on the top. They were pre finished with oil and have a really good feel to them. 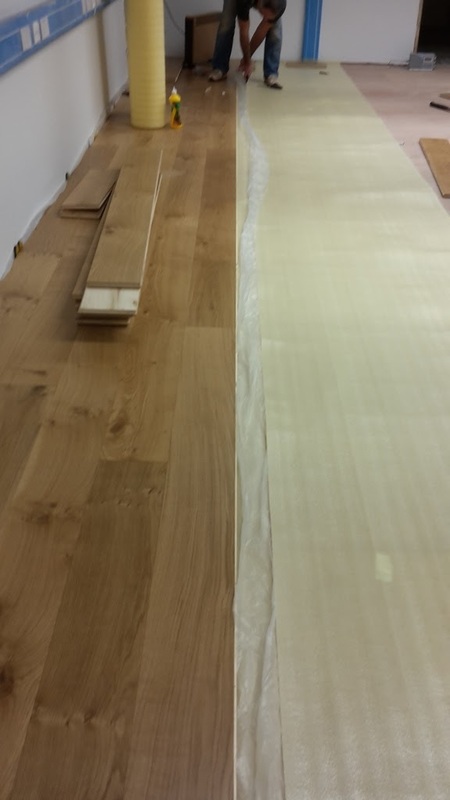 All boards were secret nailed down and the tongue and groove were glued to prevent squeaking. I've still got lots of floors to lay in this office yet, another 5 offices and all the corridors so plenty more before Christmas! Sounds like a decent project you got going there. 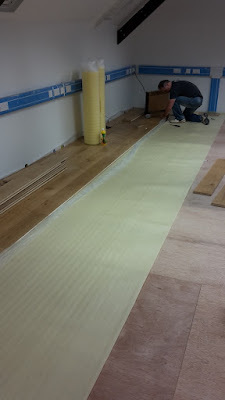 Done a lot of that edge glued, floating engineered flooring stuff over the years. But I do prefer the solid hard wood nailed down in the traditional manner. If nothing else because it can be refinished and last much longer. This is nailed down as well so not floating. The idea being that gluing the edges should stop any creaking. So many floors to do at this place, it's consuming me at the moment! They do look good when they're down though!